An emerging leader within the plaintiffs’ bar, Lexi J. Hazam represents clients in mass tort cases and qui tam actions, as well as complex class actions. Lexi represents hip replacement patients in the DePuy ASR, DePuy Pinnacle metal-on-metal, and Stryker Rejuvenate hip implant injury lawsuits, representing over 300 clients and working with leading regulatory experts. Lexi has been appointed by the court overseeing the nationwide Abilify gambling injuries MDL litigation to the Plaintiffs Executive Committee and the Science and Expert Sub-Committee for the case, and was also appointed by the court overseeing the nationwide Benicar MDL litigation to the Plaintiffs’ Steering Committee therein, and serves as Co-Chair of the Benicar MDL Plaintiffs’ Science and Experts Committee. She has also spoken at several conferences on Benicar injuries and Benicar lawsuits. Lexi has spoken at two conferences for plaintiffs’ counsel on the DePuy litigation. She has also spoken on mass torts topics at the Women En Mass conference for women in mass torts, the annual CAOC conference, and the California Lawyer’s Product Liability Roundtable. Lexi’s qui tam cases include the $21.7 million settlement of litigation against Avaya, Lucent Technologies, and AT&T for charging governmental agencies for the lease of communications systems they no longer possessed and/or were no longer maintained by defendants. She worked on the Office Depot qui tam litigation, a lawsuit alleging that Office Depot knowingly overcharged California cities, counties, and school districts on office and school supplies purchased under U.S. Communities contracts, that settled in 2015 for $68.5 million. Lexi has also worked on several additional qui tam cases alleging Medicare fraud. Lexi has been a speaker on the California Lawyer’s False Claims Act Roundtable. Lexi previously represented hemophiliacs worldwide, or their survivors and estates, who contracted HIV and/or Hepatitis C from contaminated blood factor products in America. A confidential settlement was reached in 2009. Lexi played a key role in litigating the case and in negotiating and administering a settlement of the claims of 1,600 clients in 15 countries, utilizing her multilingual skills in working with co-counsel on several continents. The blood factor litigation constitutes one of the only, if not the only, case in which major U.S. pharmaceutical companies entered a settlement with plaintiffs worldwide. Lexi also has significant experience representing the families of victims in major international aviation disasters, including the crash of Gol Airlines Flight 1907 in Brazil in 2006. Lexi’s class action practice includes representing nursing home patients of Evergreen and Kindred facilities who received deficient care due to understaffing. A settlement in the Evergreen case includes an injunction requiring adequate staffing for several years, without any release of claims by the class. Combined with related cases against other leading nursing home facilities, the litigation is helping to create a new standard for the staffing of nursing homes in California. In 2016, Lexi was elected as Chair Elect of the American Association for Justice‘s Section on Toxic, Environmental, and Pharmaceutical Torts (STEP), having previously served in 2015 as Vice-Chair of the section. 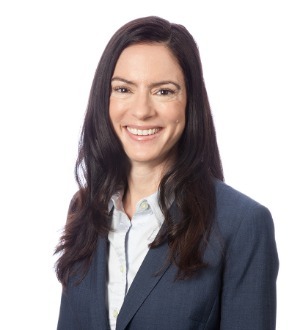 Lexi was also selected in 2016 as Co-Secretary of the Qui Tam Litigation Group, and in 2015 for the AAJ Leadership Academy and the Sedona Conference Working Group 1 Drafting Team for the Primer on Technology-Assisted Review. Lexi has also served on the Court Funding and Litigation Challenge Group Task Force of the Bar Association of San Francisco and the Diversity Committee of the San Francisco Trial Lawyers Association.